Check out part one of the interview with part two and the acoustic session to follow. UK soul legend Shaun Escoffery came into the Mi Soul Radio HQ and blessed us with an acoustic session launching our new #LiveOnDrive sessions in our brand new studio. Ok guys, for y’all that wanna know, here’s my Lauryn Hill concert review. After hearing about all the negative feedback n tweets the night before I was slightly rattled about how this show would unfold. 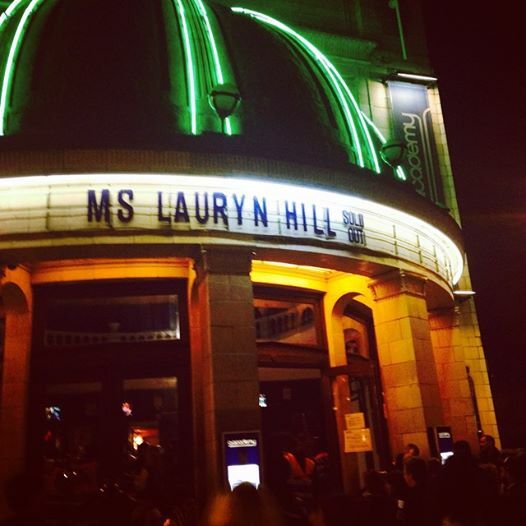 I attended Lauryn Hill’s concert last night at the O2 Academy Brixton (Sunday 21st Sept 2014) because like most LH fans I wanted to experience highly anticipated rare live show moments from her masterpiece Miseducation album as well as some classic old school Refugee Camp bigness. She came on stage just before 10pm with plenty of energy but proceeded to do odd, unrecognizable, sped up, “Happy” style rocky versions of songs like “Everything is Everything”, “To Zion” and “Ex Factor”. “Lost Ones” was ok for the first 60 seconds but then she journeyed into rock-reggae mash up mode which didn’t hit the musical spot at all leaving the audience, including me, looking on in bemusement! The sound quality was absolutely appalling and coupled with her strange reggae / rock renditions, LH probably ruined as many of Bob Marley songs (including Jammin’, “Is This Love”, and “Could You be Loved”) as she did her own. One highlight was the short acoustic set midway through where it was clear to hear that Ms LH’s vocals were still flawlessly on point when not having to fight through a wall of bad sound engineering. I would have preferred her to have kept the entire show unplugged as the band failed to make any soulful impact in my opinion. Another better moment was LH revisiting her Fugees days with decent versions of “Fu-Gee-La”, “Ready Or Not” and “Killing Me Softly”. This was briefly the old Lauryn Hill we came to know and love from her 90s reign but again the sound made for a painfully strained listen. Her finale tune was the anthemic Doo Wop (That Thing), which was probably the one track that sounded anything like a live version should but by then I think I’d lost the will. I knew it would be a risk to go and see Lauryn Hill Live, having had her personal life scrutinized, her troubles (sometimes self inflicted it has to be said) splashed across certain publications. Risky because you don’t want to hear someone as genius as her get it so wrong on stage, that it ruins the Miseducation and Fugees legacy forever. But that optimistic part of me was hoping to hear her come out the other side of adversity with an incredible show. Sadly, it was incredible for all the wrong reasons but one thing is certain, that “Miseducation” album remains a classic and luckily I can go back to it and indulge in Queen LH’s music in it’s original soulful form whenever I like so i still have to thank her for delivering that piece of musical niceness on wax. Posted at 21:21h in Blog, EXCLUSIVE INTERVIEWS, LIVE SESSIONS, RH says U Need 2 Know! Yesterday, i had the massive pleasure of doing a special and exclusive USTREAM interview with the lovely and supremely talented Misha B in celebration of her debut single “HomeRun” available now on itunes!! This is not to be missed…check out the full interview and performance here! 15 Mar Mike Hough Live! It’s new single launch time for one of the most exciting prospects this side of the atlantic for 2012. If you listen to my 1xtra R&B show he should be no stranger to you. If you don’t know…get to know. 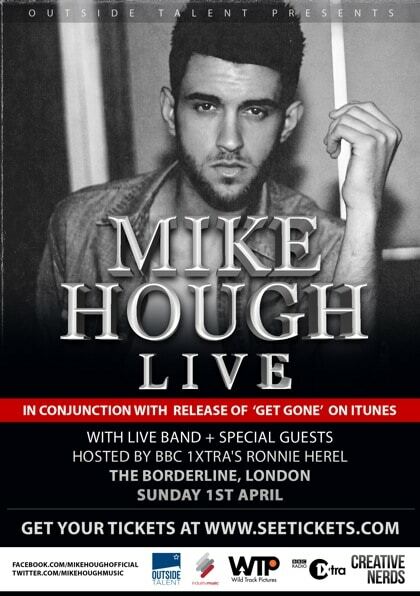 Come check MH live at the Borderline Sunday April 1st. Live is what he loves best so be ready! I’ll be spinning some tunage as well so come and say hello. 01 Mar Ronnie Herel Meets…Mike Hough @ 1xtra new music sessions live! Check it out R&B family. It’s yours truly intro-ing Essex soulboy Mike Hough @ the BBC 1xtra new music sessions from the legendary Maida vale studios in London. Posted at 22:59h in Blog, LIVE SESSIONS, RH says U Need 2 Know! Here’s a live version of a seriously heavyweight tune first played on my 1xtra R&B show back in mid January. It’s live musical bliss courtesy of Diva, Vula Malinga (Basement Jaxx) & her partner in crime, Geek of the duo, Ben Jones. Recorded at Recorded @ Fish Factory studios London, i know you’ll enjoy this moment captured by the Pinboard Blog crew. The DivaGeek project looks like it’s going to be a big one so make sure you watch this space. I’ll keep you across all things DivaGeek in the future. In the meantime get into it!